The men’s and women’s basketball teams were at two vastly different points last season. 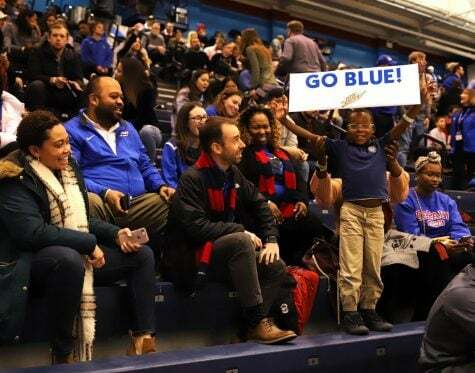 The men’s program had another last place finish in the Big East, while the women’s team made a stellar run to the Sweet Sixteen. Now, they have to take the next needed step. 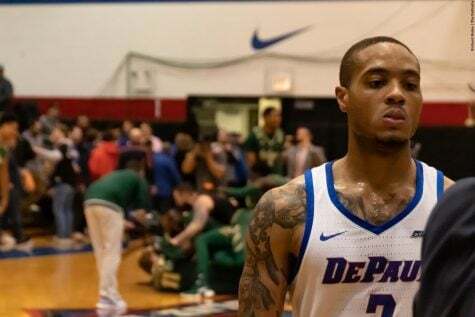 When men’s basketball head coach Oliver Purnell took the job at DePaul, he knew there would be a number of unseen challenges. 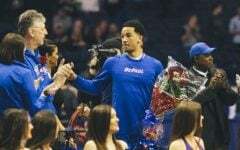 Among them, he said that playing at Allstate Arena and getting local kids to commit to the program have been the most challenging. 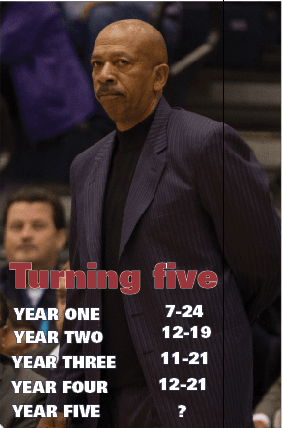 As DePaul heads into year five of the Purnell era, the 63-year-old head coach sports a 42-77 record at the school. 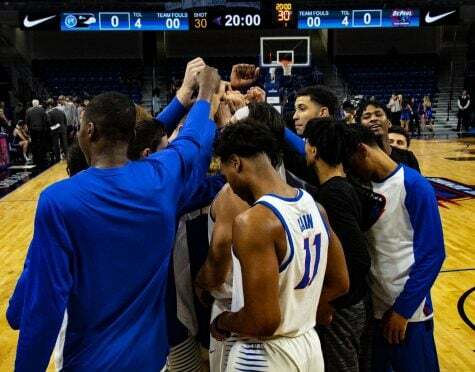 Both the men’s and women’s basketball team look to continue to climb upward this upcoming season. 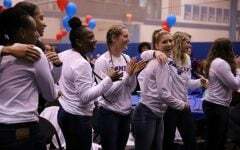 For the women’s team, longtime head coach Doug Bruno led his squad to the Sweet Sixteen in the NCAA tournament last year — winning the Big East and upsetting No. 4 Duke along the way. 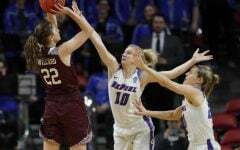 While the men’s team looks to get out of the cellar of the Big East, the women’s team will try to establish itself upon women’s college basketball’s elite company. The team will do so with 10 of the 15 players on the team a year ago, including four returning starters. In last season’s run, the women’s team went 29-7 with a 15-3 record in the Big East. 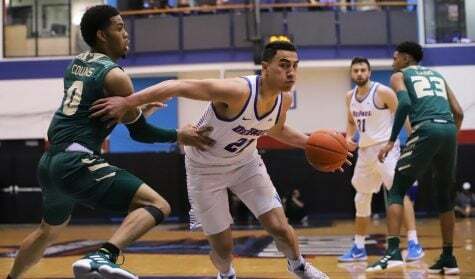 The Blue Demons established themselves with a high-powered offense and pressure in the backcourt. 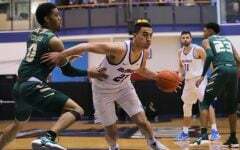 By season’s end, DePaul ranked fifth in the nation in scoring (83.5 points per game), third in assists (19.6) and fourth in steals (11.6). 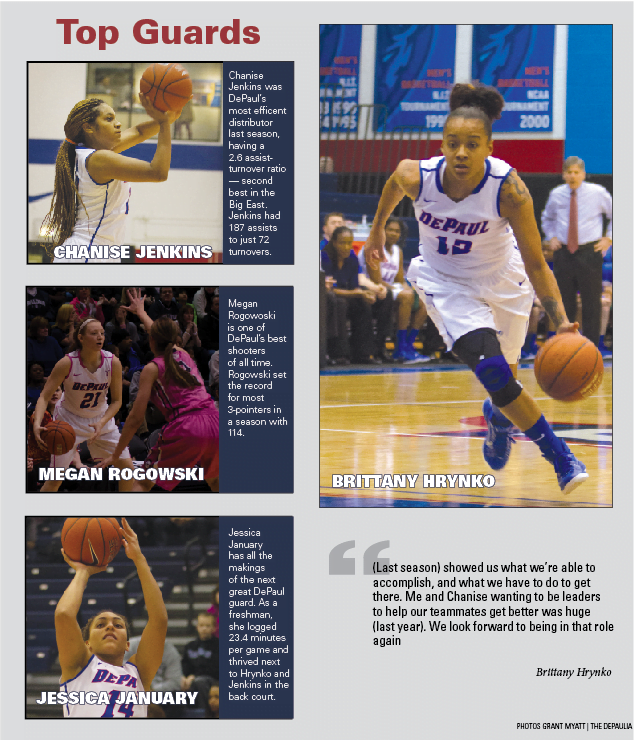 Starters Brittany Hrynko, Chanise Jenkins and Megan Rogowski all clicked together at the same time. Sophomore Jessica January also came off the bench to help provide a second boost. Jenkins said the team has to stay grounded to not only repeat last year’s accomplishments, but to also take the next step. Hrynko also said that the benefit of last season was a building block on what the team needed to do to be successful. Meanwhile, the men’s program is trying to build consistency. The men went 3-15 in the Big East last year and were riddled with inconsistency. 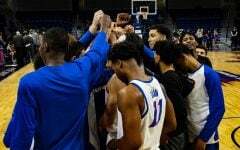 The team finished the season losing 13 out of their last 15 games, but also upset Georgetown in the Big East tournament for their first conference tournament win since 2009. 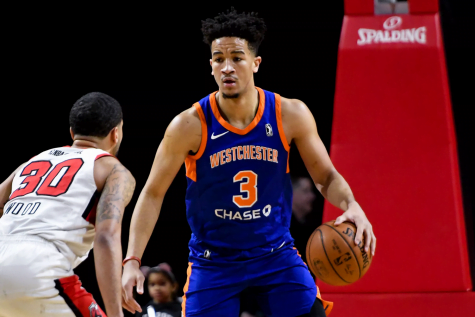 The season, which was also derailed with off the court suspensions, injuries and the exit of leading scorer Cleveland Melvin in February, was a lot different than what sophomore Billy Garrett Jr. was expecting. 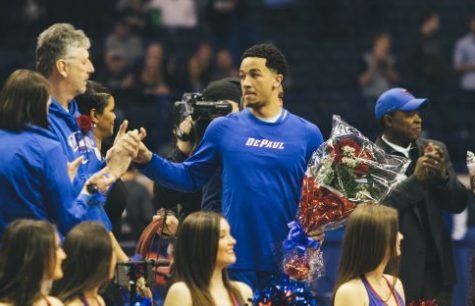 Before the start of his first season, Garrett said he expected the Blue Demons to be a 20-win team. He was in for a rude awakening. He soon realized what it took to be a better team. 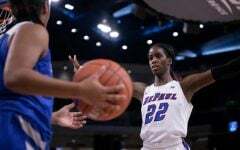 If chemistry is the biggest obstacle for the men’s team to make a turnaround, the most challenging problem for the women will be how they replace Jasmine Penny, who graduated and led the team in scoring. Without Penny, the team is losing size and consistent production. 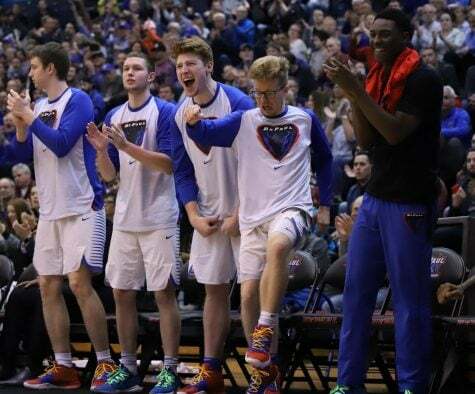 The Blue Demons are a very small team with just four players over 5-foot-10. But like every year, there’s a certain type of positivity that arises during this time. Nationally, there’s a positivity surrounding the women’s team, being ranked No. 18 in the country in The Associated Press Top 25 poll. On the men’s side, there was plenty of optimism from the group. 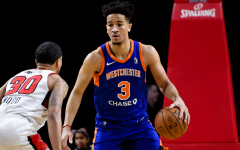 Purnell said he’s made inroads with recruiting athletes locally, pointing to the nine of 15 players on the roster from the Chicago area. 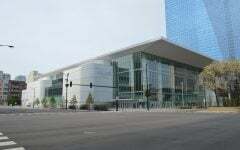 The program is also looking forward to the new arena being built for the 2016-17 season, which should help recruiting even more. But realistically, this is year five of a seven-year contract that Purnell was given, with an average of $2.28 million per year, according to DePaul’s 2012 IRS 990. 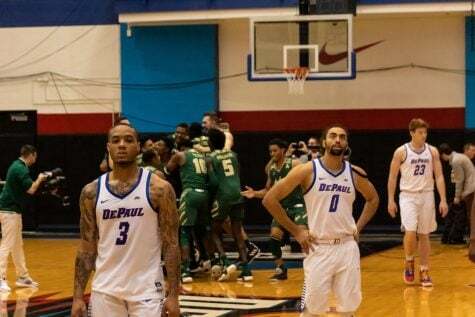 While nine players are from the Chicago area, DePaul has one lone freshman, a walk-on in Joe Hanel. 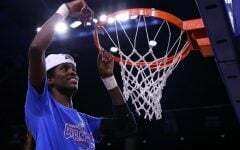 The team has promising young players in Garrett and Tommy Hamilton while also having a series of athletic players that are transfers, but it’s been almost 11 years since DePaul last made the NCAA tournament (2003-04). Despite not much change in the past few years, Purnell said he doesn’t feel any added pressure for this upcoming season.